Q. What is the camp schedule like? A. Campers are given fun filled days, of activities, swimming, camp sing-a-longs, fun crafts, games, campfires, theme days, performance night, scavenger hunts, canoeing, just to name a few. Our staff works hard to ensure that campers have a diversity of activities that all will enjoy. Q. What are the sleeping arrangements and what toilet and shower facilities exist? A. Campers are grouped into cabin groups of 7-10 girls or 7-10 boys. Each cabin group has a counselor staying in the cabin with the campers. Cabins have bunk-beds and our new cabins have bathrooms. 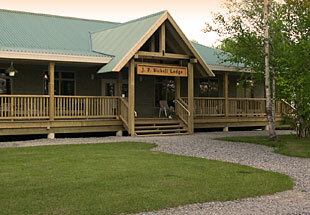 The toilet and shower facilities are in a separate building centrally located from all the cabins. Q. My child is going to camp with friends, will he/she be able to group with them? A. Absolutely! We make sure that friends are grouped together. A. We do our best to offer kid-friendly meals with each meal serving a bit of variety. They are well balanced and enjoyable. The meals are prepared on site in our own kitchen. Asked any past camper about the food; they will probably tell you of their favorite snack being the hot cookies served almost every evening fresh from the oven. Q. Is my child allowed to bring snacks or food with them? A. We asked that parents do not send any food or snack with their child at camp as it may cause some concerns for other children with allergies. Q. What medical facilities are available? A. We have a Registered Nurse on staff each summer. The Nurse does administer medication and attend to any minor injury. All medication is to be given to the nurse at the start of camp with clear instructions. Please send the medication in its original container. List all medication on the registration form or on a note with the camper. The nurse will then administer the medication during the camping week. No child is to keep any form of medication including aspirin or cough syrup with them in their cabin. Our infirmary is stocked with first aid supplies. The nurse will contact you if your son/daughter needs medical attention. A. The camp is open to visiting anytime during the week; however we do prefer that you visit on either the Tuesday evening or Wednesday evening. We do have quite a full and busy fun filled week of activities and many of the activities the kids do not want to miss. Your child is at camp to enjoy and fully immerse himself/herself on the camp experience, a quick visit after dinner mid-week is usually the best. Q. How long has the camp been in operation and what is its safety track record? A. 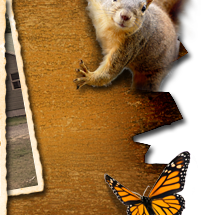 Our camp has been in operation since 1939 and has had no safety concerns in all of those years! If you would like to know more about the camps' history, click here. Q. What happens when the weather is bad? A. We have a large indoor space the “lodge” that provide adequate space for all types of indoor activities. We also have our craft building that many great crafts are made. Campers can expect to be busy, even when the weather is bad. Q. Is there a refund policy if the camper leaves early? If withdrawal occurs before MAY 15th, the full amount will be refunded minus a $50.00 administration fee. If withdrawal occurs between June 1st and seven days prior to the start of FIRST camp, there will be a $100.00 cancellation fee. For withdrawals after that date, JUNE 25th, no refunds will be made. For children who may be required to leave camp for medical reasons, refunds will be provided on a pro-rated basis, dependent on the number of days spent at Camp Bickell. There will be no refund for children sent home because of behaviour problems. Refunds are issued in September. Q. What are your staff’s qualification? A. All counselors are selected and screened for their skills in outdoor leadership and high degree of commitment to working with kids. Many of staff members are past campers that have gone to camp since they are 7 years old and are fully knowledgeable of the “Camp Bickell” life. That also means that we have all those years as character background. We have a high rate of returning staff members. Counselors are a mixture of senior high school and university students. Q. What kind of staff training is provided? A. Staff members attend a mandatory training session. They are drilled on safety and behaviour management. They review standard first aid and learn how to deal with bullying and homesickness. Q. What is the total cost for camp? A. See our camp costs for more information. Q. When is the Camp registration fee due? A. The camp fee is due at time of registration. This will guarantee your child a spot at camp. Q. Is there a cut-off date for registration? A. We accept registrations up until the actual camp date, or until the camp is full. Over the years some camps have filled up early, so we suggest you send your registration as early as possible not to be disappointed. Our site will advise when a camp date is full. Q. Should I send money with my child? A. Campers are allowed to spend $1.50 each day at the camp’s tuck shop. Their counselor will collect the money at the beginning of camp and when they visit the tuck shop “their account” will be deducted with their purchases. Any unspent money will be returned to the camper at the end of camp. You may also send money with your child for a t-shirt. Our t-shirt price is in our brochure. Q. If there is an emergency and I need to reach my child what do I do? Q. I am driving and picking up my child at camp, what is the best way to do this? A. If you are driving your child to camp we ask that you have them at the camp for 10:30 a.m. and pick-up should be by 10:30 a.m. also.Campers may not leave with anyone except their parents or guardian unless arrangements have been made with our camp Director in advance. Q. Do you provide transportation to/from camp? Archie Dillon Sportsplex - 8:45 a.m.
McIntyre Arena - 9:00 a.m. The buses will be leaving camp between 10:30 and 11:00 a.m. for their return trip home. Q. Is my child allowed to call home or use a cell phone? A. We discourage any use of telephones during the week at camp. Campers are not allowed to use the camp telephone unless it is an emergency. Telephone communication often causes the camper to have a difficult time adjusting to camp life. Q. Can I send an e-mail to my child during camp? A. No, emails are for camp information only and it is one of our volunteer board member that check e-mails periodically. All emergency contacts should be done by telephone. Q. My child is allergic to peanuts, should I still send him/her to camp? A. Yes, however you must clearly identify the allergies on your registration form and send any medication he or she may require. We cannot guarantee a 100% nut free, as some parents or kids may bring some food into camp without us knowing. All possible peanut snacks that a child brings to camp will be taken away at the beginning of camp. Our cooks will observe a peanut free menu for the week your child is at camp. If you have further concern you may speak with our camp nurse prior to camp or on the first day of camp.